Former X Factor winner singer-songwriter Ben Haenow has revealed the full details of his highly anticipated second album Alive, set to arrive on May 25th! The album addresses themes of love and aspiration, promissing to be Ben’s most authentic body of work to date. I’m sooo buzzing for people to finally hear the new album and songs! This album definitely feels more honest in style and lyrical content compared to the first album. In some respects, with some of the tracks, it is a bit more autobiographical and a chance to tell a little more of my story with all that’s happened the last three years. It’s special to me as all the tracks were written by me and my brother which I’m very proud of! There are a few tracks which might surprise people too; be that a good or bad thing lol. We have experimented a little style-wise with a few tracks but the reaction to the new stuff when we played a few at live shows has been great. I really hope everyone likes the album, it’s my first independent release so a little scary but also very exciting! 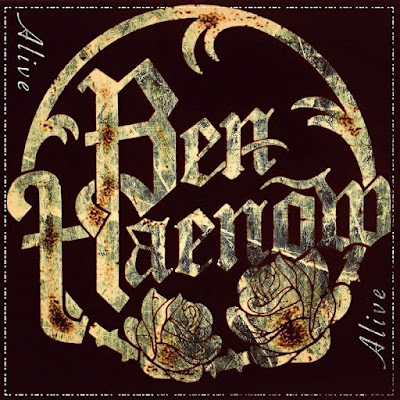 Alive follows Ben's 2015 eponymous debut album and it will include all four of Ben's independently released singles: Alive, Forgive & Forget, Rising and Falling Down. His unique renditions of Ain't No Sunshine by Bill Withers and Always On My Mind by Elvis Presley will both feature on the record.